The first generation Google TVs were Intel-powered, and if those original Google TV devices had been the runaway successes that Google had hoped, then Intel today would have a pretty big foot in the door of the smart TV market. Instead, the general consensus is that Google TV v1.0 flopped, sending Google back to the drawing board for v2.0, and as we learned just before CES this year, one of the big changes for that fledgling platform was a switch from Intel to ARM. Intel isn’t ready to cede the smart TV market yet though. 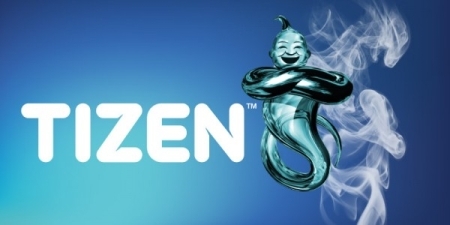 Intel is instead looking to a special version of Tizen, the Linux-based mobile operating system that has risen from the ashes of the ill-fated MeeGo OS that Intel had been spending so much time working on with Nokia. Tizen TV will be paired with Intel’s Atom CE processors, including the Berryville processors due out in the next couple of months. At this point it is anyone’s guess what Tizen TV will look like and who might be willing to partner with Intel on Tizen TV-powered settop boxes and smart TVs, but with many of the same capabilities, and even basic underpinnings, as Google TV, there is still time for Intel to get in the game. What would you like to see Intel bring to the smart TV market? here are some core blocks to Tizen TV which include the open source core services, web run-time and native application runtime. Some of the TV services such as remote input and the unified multi-media services core blocks will also be open source, but key parts like being able to watch broadcast content, video on demand and the various DRM technologies required to do so are of course not open source and will all be third party implementations.